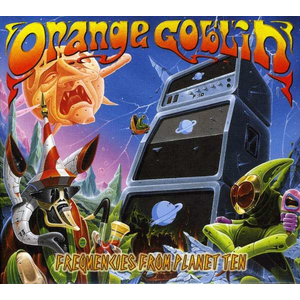 Orange Goblin - Frequencies from Planet 10, 28,46 fr. Features never before seen pictures & exclusive liner notes from singer BEN WARD! Hi quality 180gm vinyl. Gatefold sleeve with full colour insert! We're delighted to announce the release of all Orange Goblin's Rise Above Records releases on vinyl, most of which will be for the first time. First is their landmark 1997 debut album, Frequencies From Planet Ten. Goblin singer Ben Ward recalls the album. 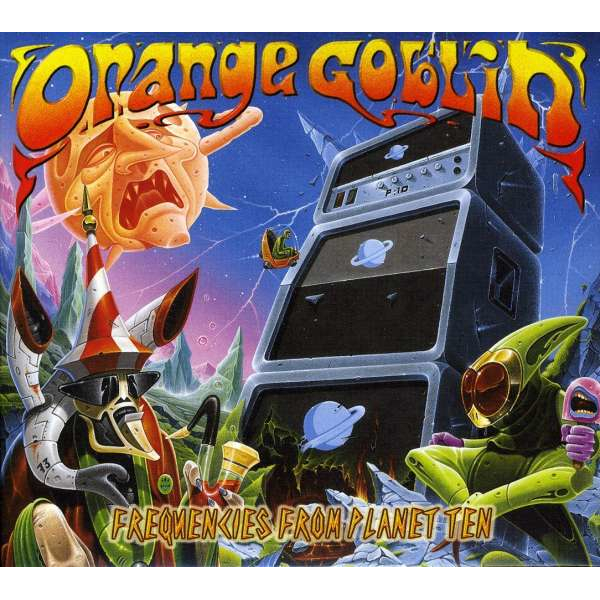 "Frequencies from Planet Ten is the sound of Orange Goblin trying to establish ourselves and experimenting with an array of different influences. It was an exciting time for us as we were just finding our feet as a band. We were young and the UK stoner /doom scene was just coming to fruition so it was great to be a part of that. I think the songs still sound strong and relevant, which is why we still include a lot of this material in our live set to this day and a lot of the newer OG fans can discover where it all started. It?s great that the album is finally getting a release on vinyl.